All Things Bakelite: The Age of Plastic, a film by John Maher, is a virtual periodic table of elements that combine to create a joyous and provocative story about the “father of modern plastics”. In 1907, Leo Hendrik Baekeland, a Belgian-born American chemist, made one of the most transformative discoveries of the 20th century: Bakelite. It was the first wholly synthetic plastic and it ushered in an explosion of new man-made materials that marked the beginnings of our modern industrial age. All Things Bakelite: The Age of Plastic private screening at The Prospector Theater in Ridgefield, CT on Saturday, March 19th, 2016. This video shows the audience reaction to the film. History comes alive in this unique one-hour documentary that is as innovative and fluid as its subject. It blends together beautifully realized period re-enactments of Baekeland’s life, rare archival footage, photos, first-person accounts, interviews with scientists, historians, and artists, and clever musical performances that capture both the wonder and the curse of Baekeland’s alchemy. The primary source and inspiration for this illuminating film is one of the great grandsons of Baekeland himself, Hugh Karraker, who is also the film’s executive producer. All Things Bakelite: The Age of Plastic is suitable for all audiences interested in the human drama that underlies history, science, business, and design—with the surprising twist that the nature of plastic reveals the nature of people. 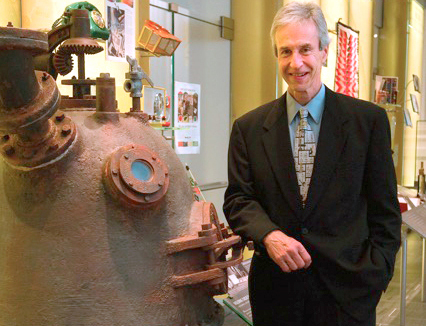 Hugh Karraker is Executive Producer of the documentary film, All Things Bakelite: The Age of Plastic. He is a great grandson of Leo H. Baekeland, the Belgian-born American who invented Velox photographic paper and created the first wholly synthetic plastic, Bakelite. Hugh is co-founder of The L.H. Baekeland Project, LLC, which through world-wide exhibitions, presentations, and media, promotes the history, the science and the art of Bakelite, and celebrates the life and achievements his great grandfather. For 30 years, Hugh was a successful actor in New York and Los Angeles, working in theater, motion pictures, television and print. He earned a BFA in acting at the University of Connecticut, studied in London at The Guildhall School of Music and Drama, and later co-founded the Magic Circle Theater in Chicago. Now retired from acting and devoted to his Baekeland Project, Hugh lives in CT with his actress wife, Sherry Arell Karraker, where he finds a creative outlet in building rustic furniture, gates and fences on commission. As a cinematic artist, John Maher is the true definition of a Renaissance man. His interest and knowledge in a broad range of subjects is only matched by his expertise in the specialized skills of filmmaking. His just-released film, All Things Bakelite: The Age of Plastic, about Leo H. Baekeland, the “father of modern plastics”, exemplifies how John pushes the boundaries of the documentary form with a masterful blend of factual information, entertainment, and innovative production techniques to tell a little known, but compelling story. All Things Bakelite: The Age of Plastic is the fifteenth independent film that John’s company JEM Films has produced. 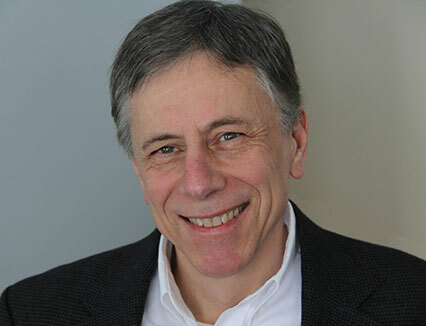 Executive producer Hugh Karraker first brought the idea to John and together they collected the resources and shaped the story of Baekeland and his transformative invention. Craig brings over thirty years of production experience to All Things Bakelite: The Age of Plastic, and a long association with filmmaker John Maher. Craig, partnered with his brother Bud, has been making movies nearly all his life and is accomplished in all phases of production, from the creative to the technical. 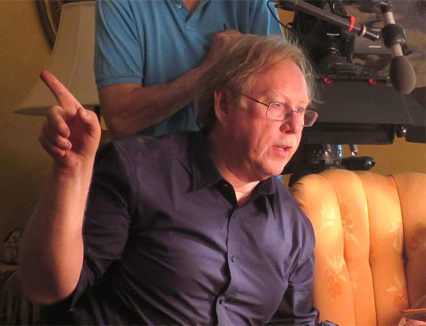 As a writer, producer, director, as well as a cinematographer and editor, Craig’s work has earned many awards in television, film, news and business. They include Emmy honors and an Oscar nomination for documentaries, and Telly Awards for commercials. While John Maher has joined Craig and Bud on many of their productions, Craig has also worked with John on several of his previous films, including John’s award-winning documentary Throw It Down, A Georgetown Story and Vision of Iron. Craig has been a part of All Things Bakelite: The Age of Plastic since 2010, when John first brought him in on the project to consult, shoot and, primarily, edit the film. Craig lives in Ridgefield with his wife Dana and has two children, both wisely occupied well outside of show business. 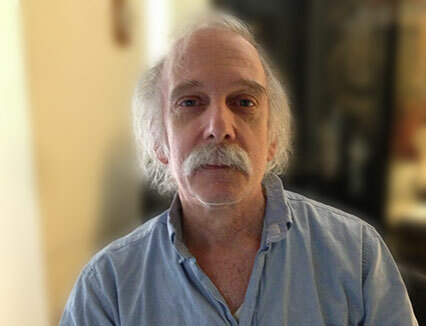 Marty Fegy is a video producer as well as a composer of music for film and television. All Things Bakelite: The Age of Plastic is his fourth film score for John Maher and JEM Films. He has also created sound design for numerous regional theatrical productions and has written and produced many jingles for radio and television advertisers.